On 7 February 1943 Operation Ke saw the last remaining Japanese forces evacuated from Guadalcanal. The Operation had started on 14 January, with additional infantry sent to the island to act as rearguard for the withdrawal. 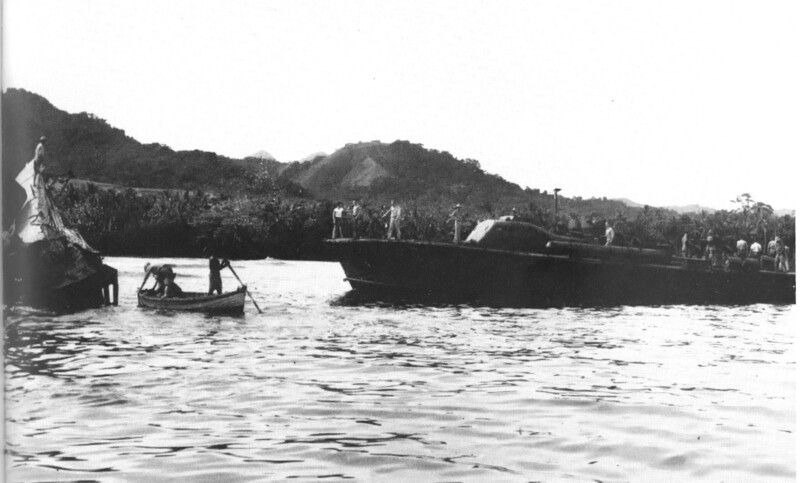 The evacuation itself didn’t take place until the nights of 1, 4 and 7 February, over the course of which some 10652 were successfully removed from Guadalcanal. Allied forces didn’t realize their enemy had gone until 2 days later, declaring Guadalcanal secure and marking the end of the gruelling 6 month campaign. The photograph below shows the crew of U.S. Pt boat PT-59 inspecting the wreckage of Japanese submarine I-1, a submarine that was lost during Operation Ke. If you would like to read more about the Guadalcanal Campaign then check out Campaign 284: Guadalcanal 1942–43 by Mark Stille.